When your are trying to marketting, advertising, Promoting any content video editing is the most important components . You can attract Viewers and customer by video editing of raw footage. ForVideo production you need to use video editing softwere to remove (deletet) unwanted, unnecessary footage and clip of realtime Video. There are many verities of Video editing softwere launched by developer with supportable letest video formats. using this best softweres you can import and exprot Verities of video formats for streaming social sites. Mp4(h264) video format is one of the most useful and best format for video users because mp4 format will support by High-end , low-end both of devices over the world. Adobe Premiere Pro/Cs seriz is the professional Real time video editing Softwere. Adobe Premiere softwere Designed by Adobe Systems & published as the Adobe Creative Cloud licensing program. it was launched in 2003. This softwere most useful for video Production. Adobe premiere recently updated their letest version Adobe Premiere Pro 2019, you can video editing using Premiere 4K and higher and Uncompressed raw footage. # You can use Adobe Premiere with low end hardwere too but working with low end hardwere you can not get best performance faster playback and rendering. Pinnacle Studio is the Advanced video editor for beginner. it's very easy to use multi-track video editing program with keyframe-based controls. most important features of Pinnacle studio is text/photo/video trasctions slideshow included with plugins. You can not this types of video fx on on adobe premiere. Pinnacle studio supports Up to 4k video. another best windows video editor softwere is the Filmora Video Editor which is devloped by ISKysoft. This program has many features including, enables you to add advance moving text, graphics into your video clips. benefit of this softwere its very easy to use for starter Video editor people. filmora suppots low end device too. yo can Edit Video with Full Range with filmora Tools. Filmora recomanded Intel or AMD processor, 1GHz or above hardwere so you can use this with cheap laptop/desktop computers. Sony Vegas Studio is the another best video editing softwere for Windows operating systems. its also very easy to use when editing video. You can use this softwere low end hardwere. you need to 2 GHz processor, 4Gb ram, 1.5 GB available HDD for instalation programme and 512 mb of gpu memory. Pnnacle studio also supports Nvidia, AMD and interl GPU. You can edit with this softwere up to 4K videos. they will available different platform of studio for your like movie studio, movie studio platinum and movie studio suit as your choise. you need to buy all this programmes. Windows Video Editor & Movie Maker is free version of poweful video editor software of microsoft windows . You will be lucky to get free version movie makers With no cost invest. But Windows Movie Maker has basic editing features tool, adding effects and transitions. 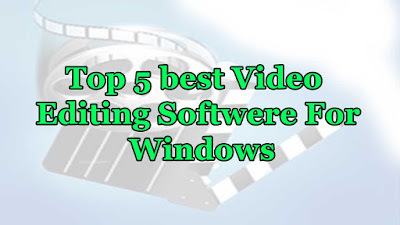 if you are trying to start video editing it is very easy to working with Windows Movie Maker. you need to windows 10, 64 bit system for use this .